Our favorite way to warm up this season? A big bowl of hearty soup! 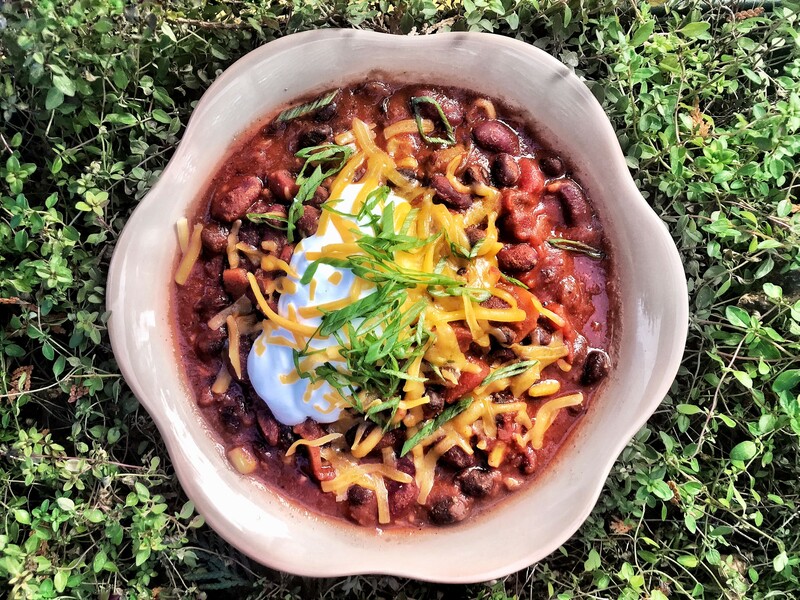 Our nutritionists love this vegetarian bean chili because it’s filling, but doesn’t have the greasy, heartburn-inducing heaviness of a beef chili. It can be made using many of the pantry items you probably already have on hand—canned beans and tomatoes, hearty vegetables, and spices. Heat oil in large sauce pot over medium heat. Add celery, carrots, onion, green peppers, and garlic. Add black pepper to vegetables. Add diced tomatoes, cumin, chili powder, salt, and water. Bring to a boil, then reduce heat to simmer. Add tomato paste, beans, and corn. Stir to combine. Simmer on low heat for 20 minutes. Season to taste. Optional garnishes: Greek yogurt, shredded cheese, sliced scallions.